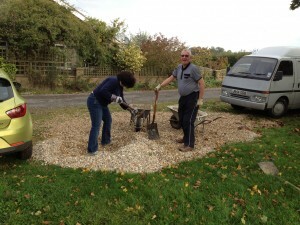 A few months ago I was asked if members of the Lincoln Short Wave Club could help form a working party with other regular users of the Village Hall to spread gravel on the car park. 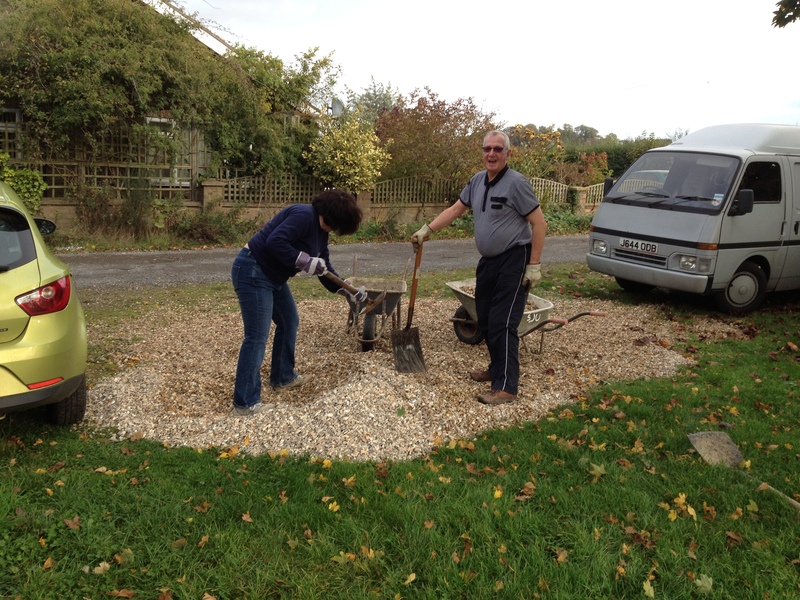 True to LSWC form a working party was arranged and by Saturday 26th October 11 tons of gravel had been delivered ready to spread. Fifteen of our members turned out to help (average age I believe a few years over 60, it was young David who brought it down to that level!!!) together with Steve and Chris from the Village Hall Committee. Work was due to start between 0930 and 1000 but when I arrived at 0930 an impressive amount of the work had already been done. I had planned on doing mushy peas with mint sauce followed by sausages and Pam’s home made chutney at 12 noon, in my dreams! 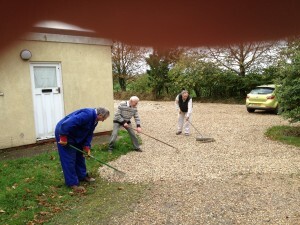 Gravel was spread well before that so gas had to be turned up to get food hot to feed the workers. James – G0EUN, Tom – G4OSB, Peter – M0EJL, Dez – G4UHZ, Peter G1FLL, David M6DDQ, David – SWL, Les – G1LQB, Steve – M5ZZZ, Ian – G4RPD, Chris – 2E0NDT, Dave – M0KWM, Louise – 2E0LOT, Gerry – G6KGG. I was the 15th but was on cooking duty.